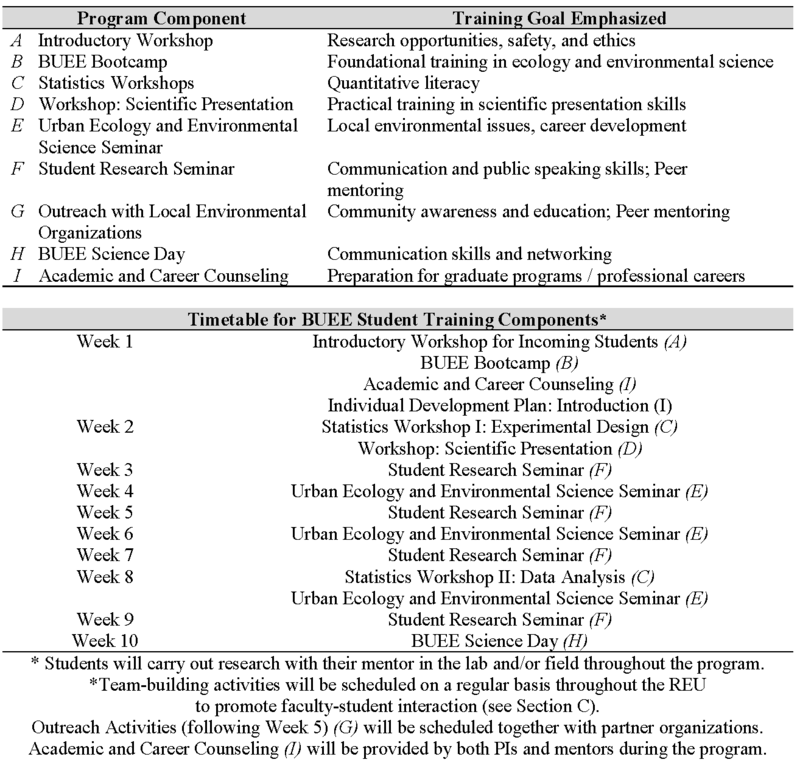 During their ten-week tenure, BUEE students will immerse themselves in the literature, learn field and laboratory methods, receive training in the use of scientific instruments and animal care, practice skills in experimental design, data analysis, and presentation of research results, and prepare poster and written presentations on their work. In essence, BUEE students will be treated as early-stage graduate students, but with much closer supervision and involvement of their research mentor. Outside of research in their mentor’s lab and supervised lab and/or fieldwork, students will take part in additional training elements and social activities as part of the program.